Click above to see larger please. Forgot I took this one on my previous Lighthouse post. 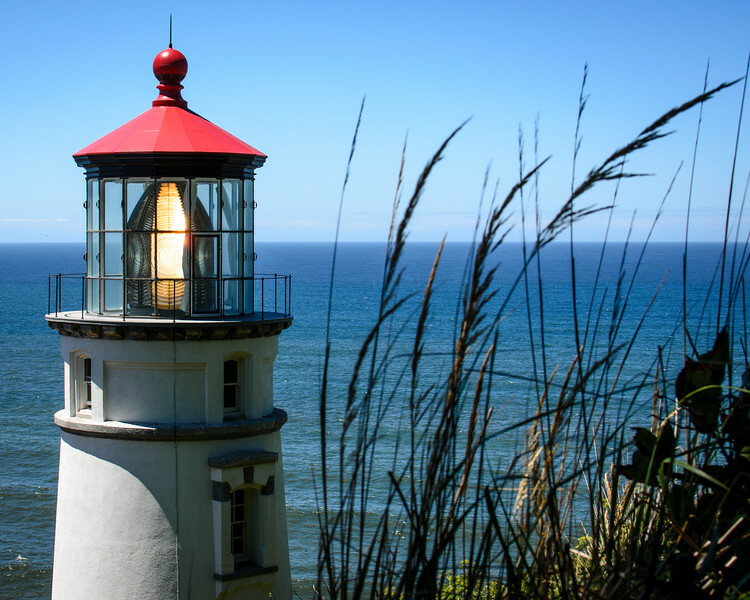 This is the Heceta Head Lighthouse. If you walk up there from the parking lot, look for the foot path that leads up to Highway 101 -- I took this photo from that trail. It's a good vantage point and offers a different view. Prints and digital downloads of this image are available from my SmugMug site, which uses a very good print lab (Bay Photo) and my prices are very reasonable because I'm a hobbyist and not a full-time pro. An 8 x 12 print with a metallic finish (which I prefer) of the above photo is $10.95 plus shipping. People tend to buy my photos as gifts for others and to decorate second homes and condos; SmugMug also offers framing and ready-to-hang mounts. I appreciate your patronage and pump any money made back into my photography and maintaining my web presence. Thanks! Pick your poison and follow me on Twitter, Facebook and/or Google+. Here is my SmugMug homepage. I appreciate your patronage and pump any money made back into my photography and maintaining my web presence. Thanks!